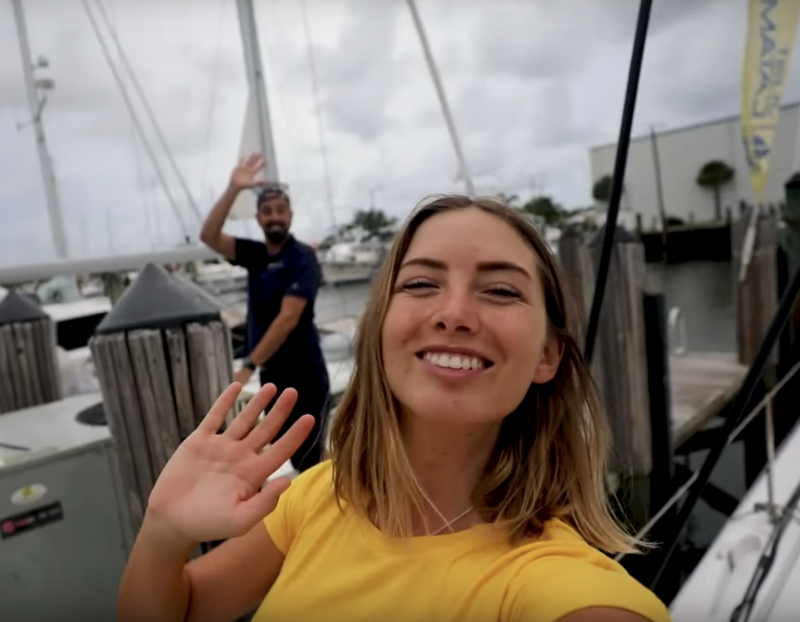 The famous Outremer 45 Catamaran, Sailing La Vagabonde crew of Elayna and Riley needed to perform upgrades and repairs on their Outremer and decided to use Just Catamarans for the work. They came into our marina at Harbour Towne and stayed for a few weeks while the work was completed. From Elayna and Riley “It’s been a good year since we’ve paid any REAL attention to La Vagabonde. Besides polishing the stainless, scraping the bottom when she gets a little molluscy and maintaining our equipment onboard, she usually keeps things fairly easy for us. But we are in need of a few installations and we are due for a new coat of antifouling.